Fleas and ticks are both annoying and potentially dangerous to your beloved pet -- but the more you know about how to combat these pests, the more effectively you can keep your special friend healthy and happy. Here are some frequently asked flea and tick questions, as answered by your friends at Oakland Park Animal Hospital. What time of year do I need to worry about fleas and ticks infesting my pet? Fleas and ticks are most active in the warmer temperatures of spring and summer. But Florida's naturally warm climate and the use of indoor climate control can conspire to make these pests a full-time threat. Why do flea and tick bites make my pet so miserable? Flea and tick bites can prompt allergic reactions in sensitive pets. The resulting allergic dermatitis produces severe itching, redness and swelling. If you pet insists on scratching or licking the inflamed areas, he may create an open wound -- making bacterial infection a real possibility. What dangers do flea bites present? Flea bites can transfer such dangerous threats as haemobartonellosis (a blood infection), bubonic plague, tapeworms and cat scratch disease. Anemia from blood loss can even cause death in a small or sickly pet if the infestation is severe enough. What diseases can ticks transfer to animals? Tick bites can transmit a variety of serious diseases to animals. These include ehrlichiosis, Rocky Mountain spotted fever, Lyme disease and tick paralysis. How do I reduce the number of fleas and ticks in my environment? You can help diminish the threat of fleas and ticks around your home by getting rid of leaf piles and trimming tall grass where these creatures hide. Indoors, vacuum all upholstery and bedding frequently, disposing of the bag after every use. How does your Overland Park veterinarian treat infestations? We can recommend topical products that are safe to use with your pet shampoo for washing away flea infestations. Our veterinarian, Dr. Ratnoff, can also treat the discomfort and other complications of dermatitis. Ticks can be pulled off of your pet one at a time. 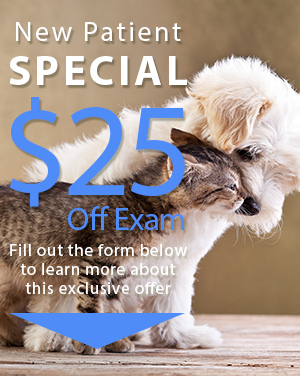 How can your vet center keep fleas and ticks away from my pet all year round? Our vet center can put your pet on a regular program of preventative medicines that kill fleas, ticks and other pests at various stages of their life cycles. Depending on your pet's health needs and your own preferences, we may recommend a combination of different topical, oral or collar-based preventatives. Knowledge is power where flea and tick problems are concerned -- and here at Oakland Park Animal Hospital, we have the knowledge, skill and experience to keep your pet as pest-free as possible for life. 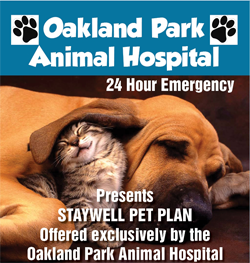 Call (954) 731-4228 to schedule a consultation so our Oakland Park veterinarian can give your pet the necessary flea and tick care!